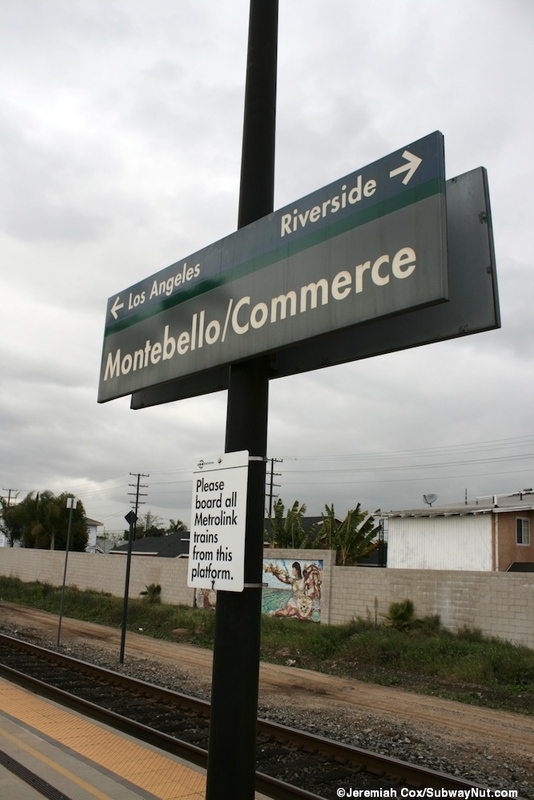 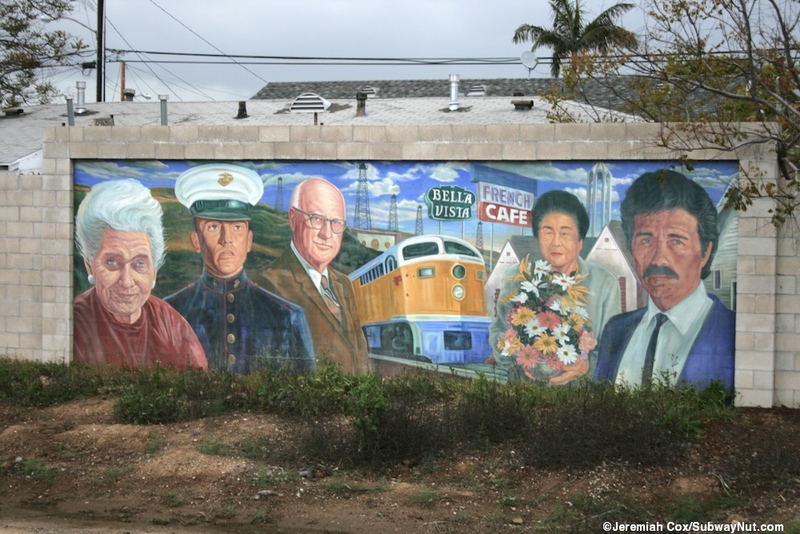 Montebello/Commerce is a stop on the Riverside Line in an area where the train tracks are the dividing line between warehouses and industry south of the station and subdivisions north. 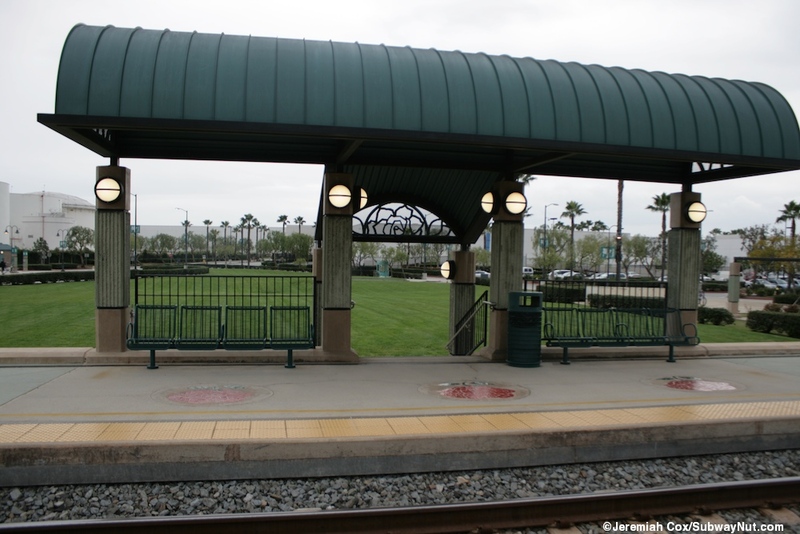 The stop opened as an infill station on September 26, 1997 and receives service from the Riverside Line's five weekday peak direction trips plus one midday round-trip. 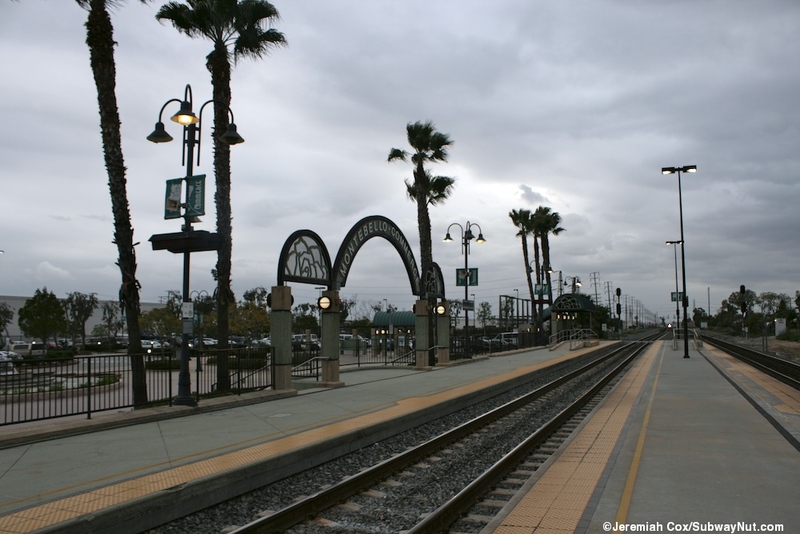 Amtrak's Sunset Limited bypasses the station. 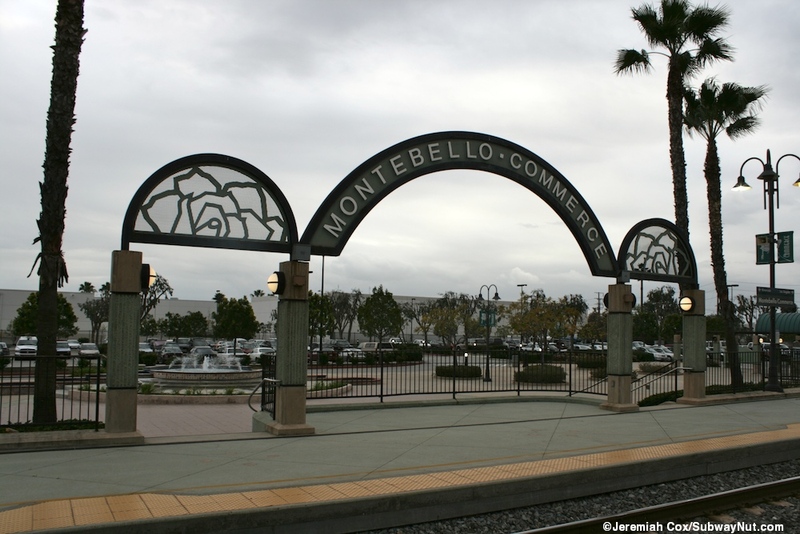 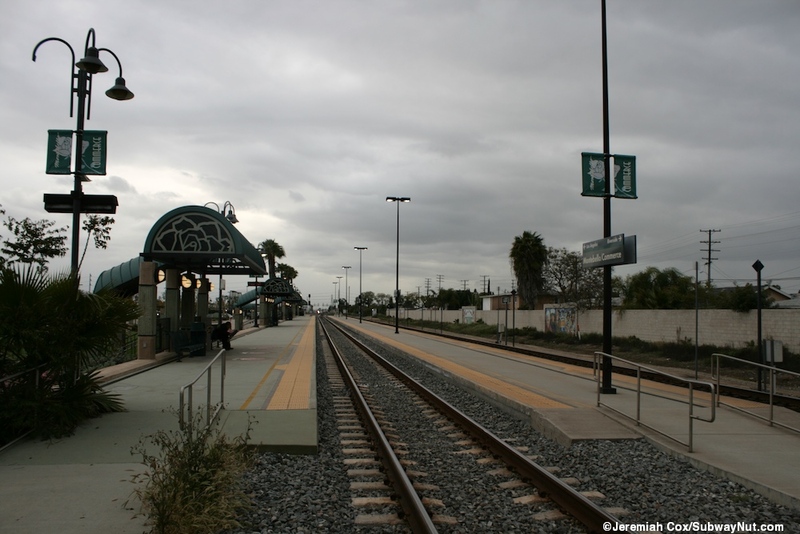 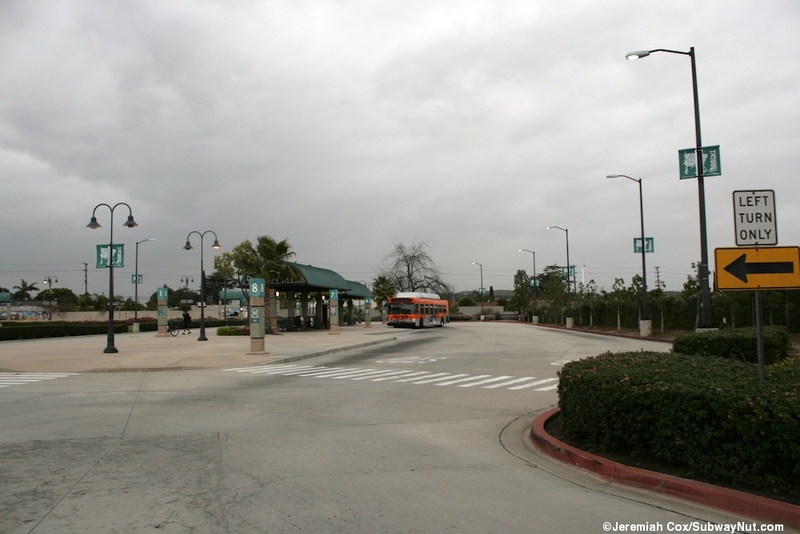 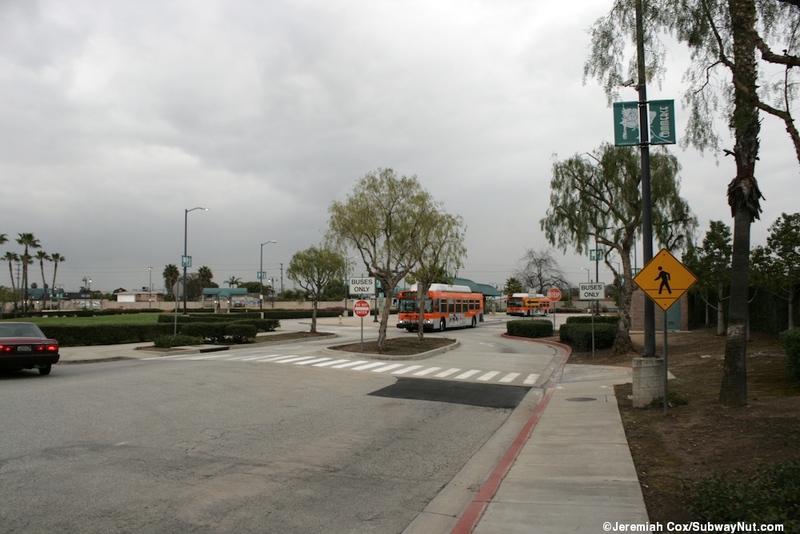 The station is only accessed from from an access road on Flotilla Street (the industry side of the tracks) which leads straight to an oversized six bay bus loop serving two Metro Bus Routes and a single Montebello Bus Lines Route. 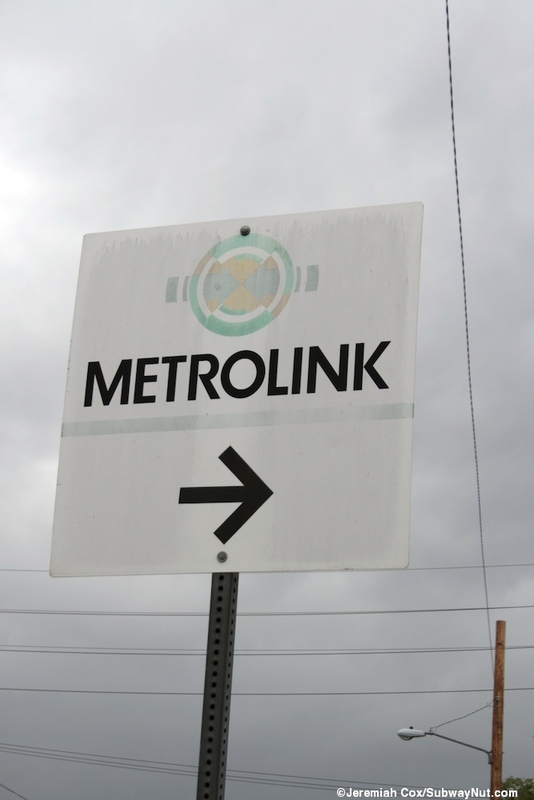 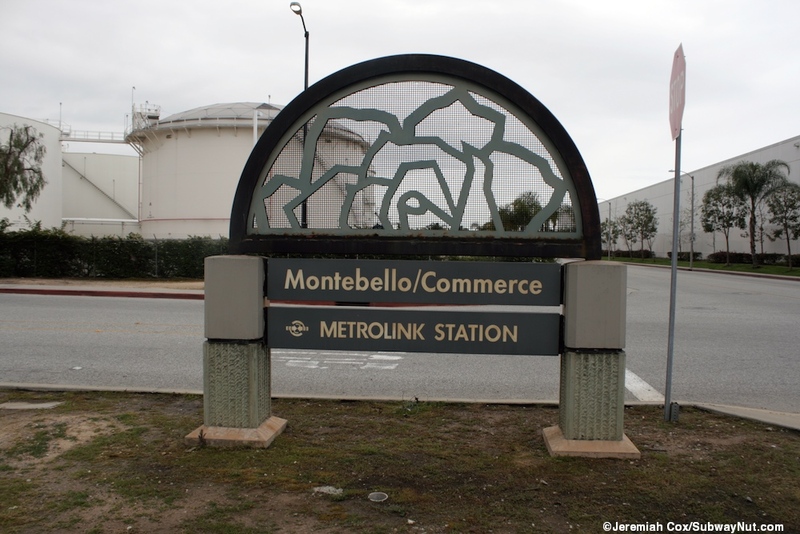 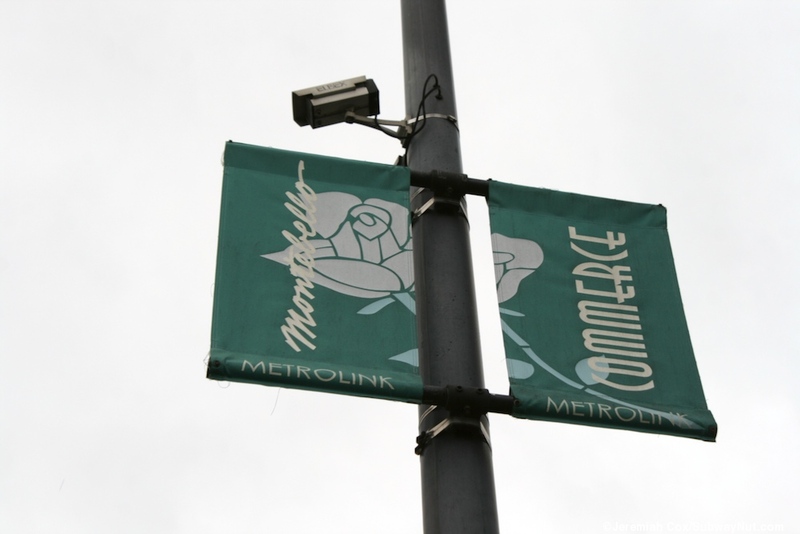 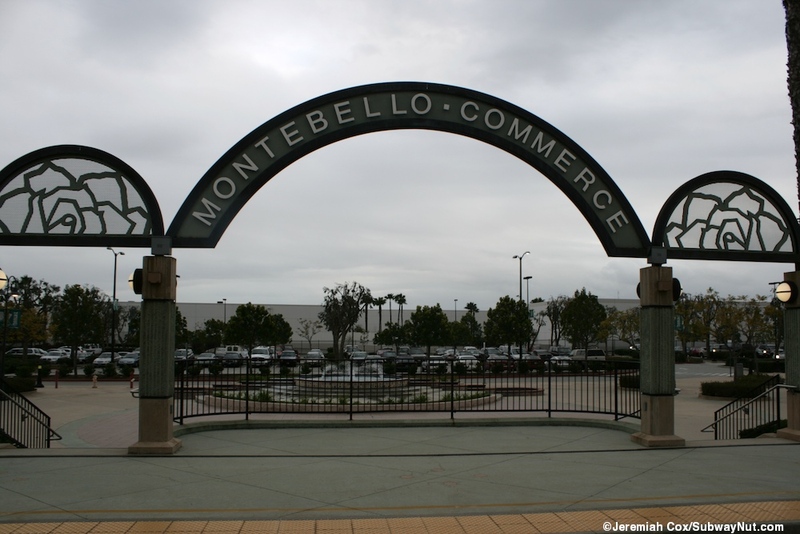 The Montebello Link is a shuttle on-demand service from the station. 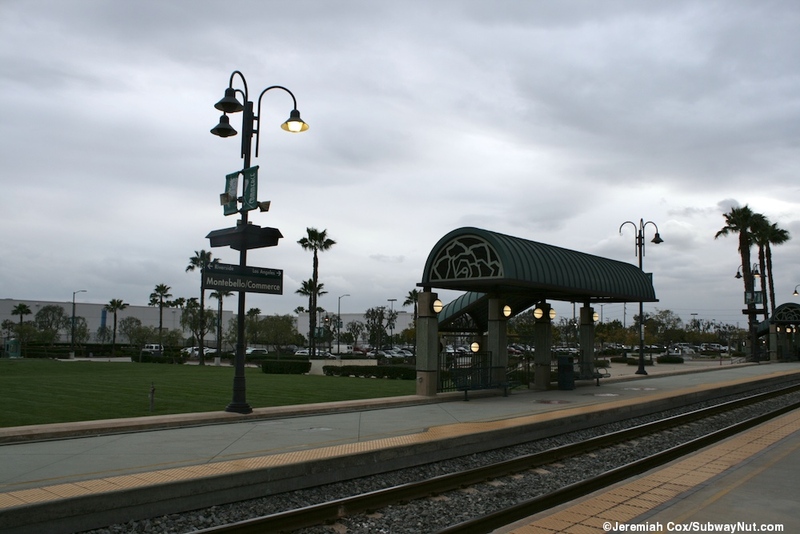 This is at the eastern end of the station platforms. 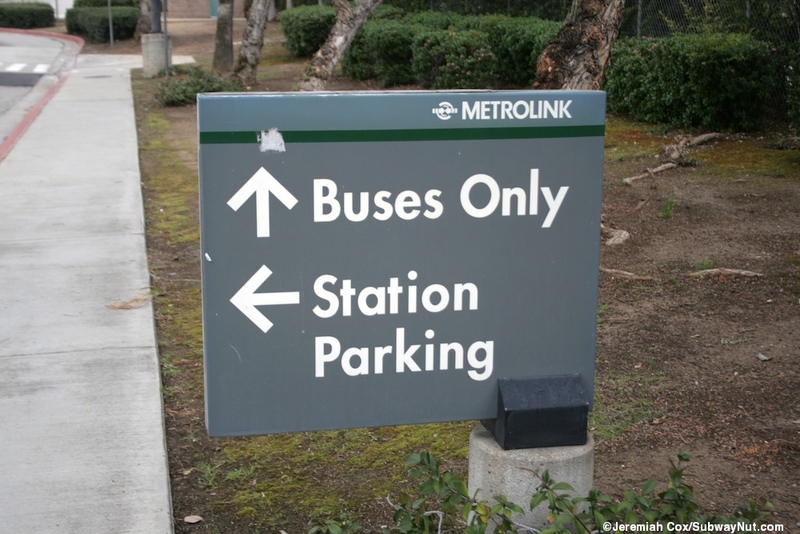 Just before the bus loop is the entrance (at its eastern end) to a 225 space parking lot. 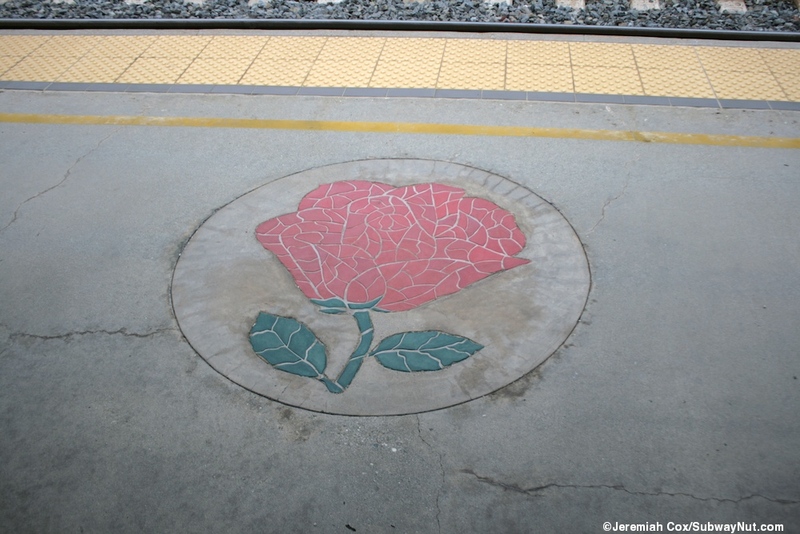 North of this parking lot is a concrete plaza with a fountain in the middle, and a Rose embedded in the pavement. 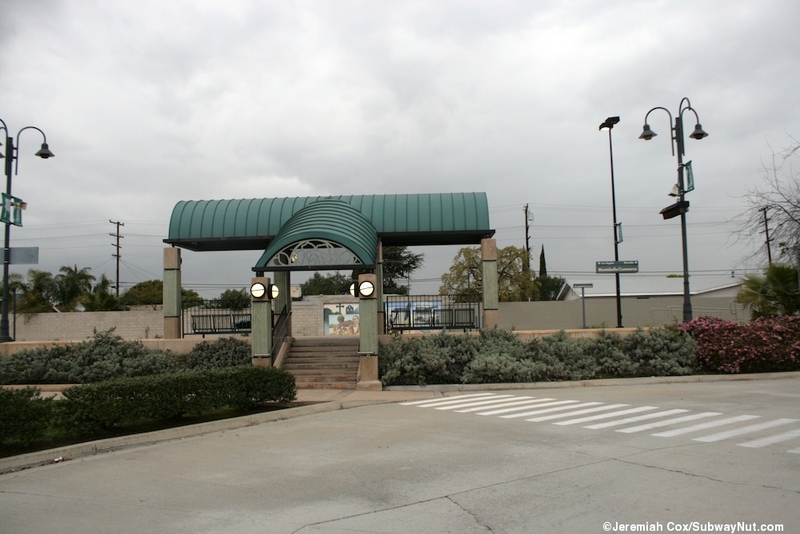 This is where the main entrance with an arch along the edge of the side platform is up about 8 steps. 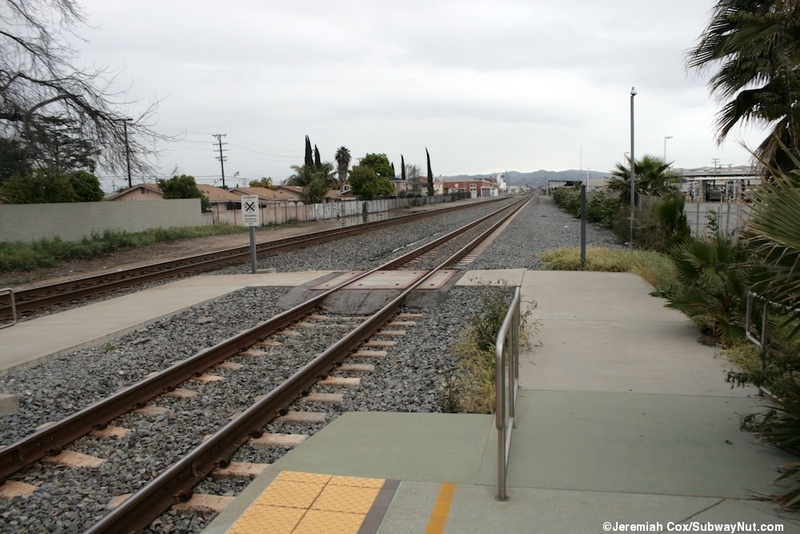 There is another island platform between the two tracks that pass through the station. 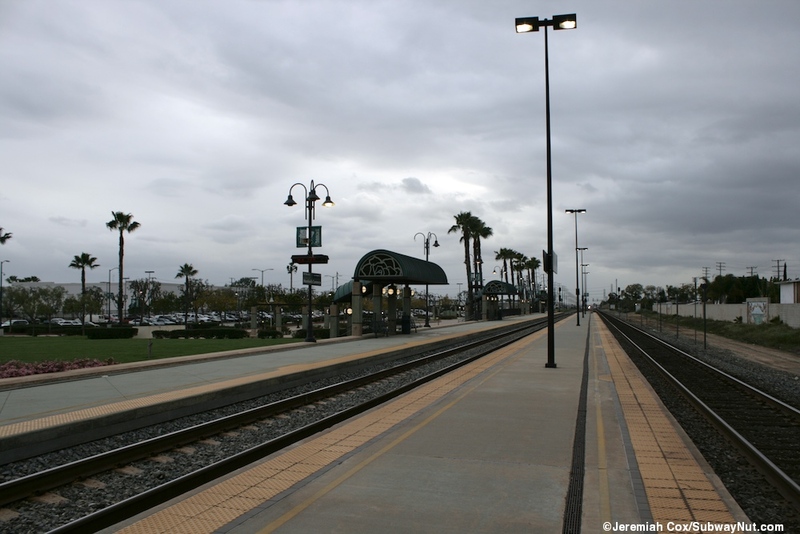 The island platform is simple with just a line of tall lampposts with grade crossings at each end providing the only legal crossing to it at each end of the platforms. 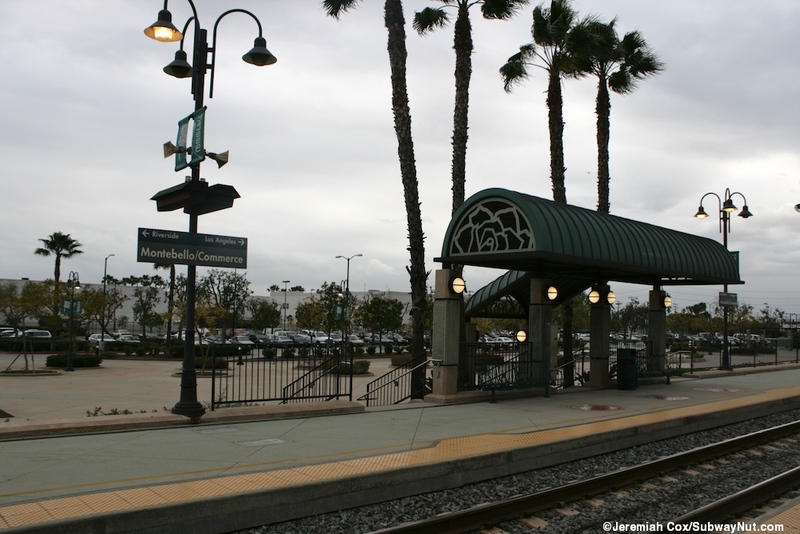 The side platform is where waiting takes place with four small canopies cover a staircase down from the platform and two benches. 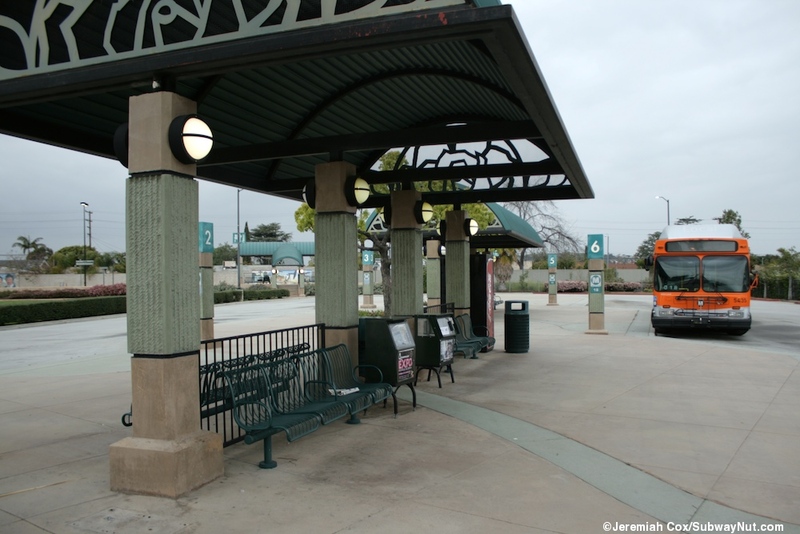 There are a few more shelters throughout the station.